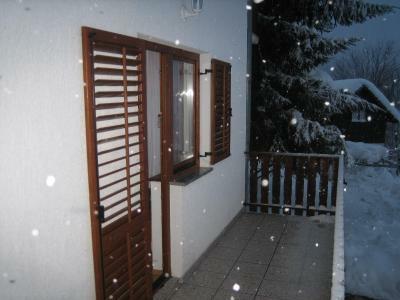 Lock in a great price for Guesthouse Andja – rated 9.1 by recent guests! The little studio was very nice place! We spent there 2 nights, but it wasn't enough :-D The beds were very comfortable, the kitchen was good equipped. The studio and the bathroom in that was very-very clean. 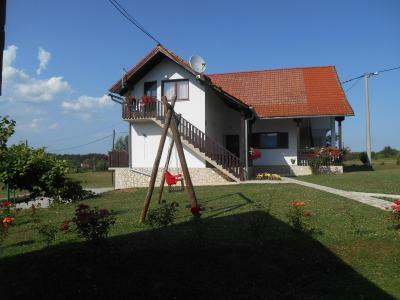 The location of the apartment is ideal for tourist, who'd like to visit the beautiful Plitvicze lakes. 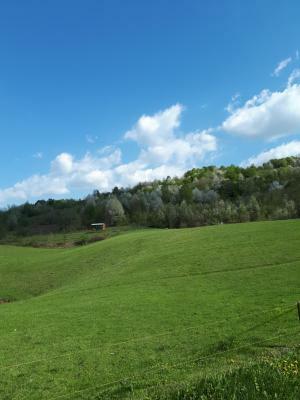 The area of house was very calm and peaceful, the sight is beautiful. Everything was OK! 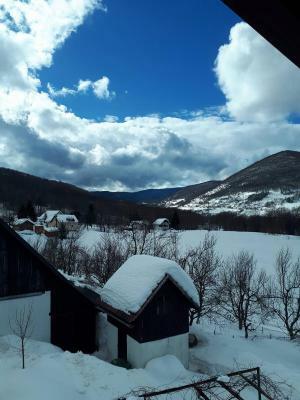 Beautifull village. 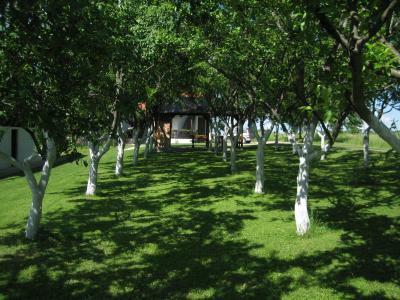 Very pleasant place. Appartment very clean and confortable. Perfect for us ! very friendly owners, very nice playground for children, very quite and nice place to relax, very clean and comfortable apartment. 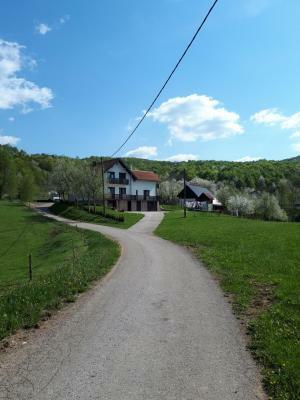 The house is near to Korana river where we could bath and the view to the hills is also really nice. 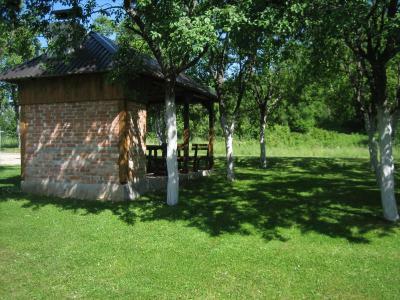 We choosed it because it's not far away from Plitvice lakes, 5-10 minutes by car. The price was also pretty worthy and we could drink beer free, it was a gratis. Ligging en gastvrijheid van de eigenaar en familie. Posizione tranquilla, stanze pulite, giardino molto curato dove poter prendere il sole e barbecue a disposizione per eventuale pranzo/cena. Dobra lokalizacja w pobliżu Plitwickich Jezior. Cisza spokój, dużo miejsca dla dzieci. W apartamencie wszystko co potrzeba. Dobre wifi. 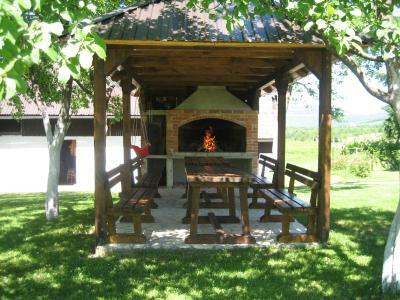 Molto carina la mansarda, piccolina ma pulita e funzionale e con tutto l'occorrente (lenzuola e asciugamani compresi nel prezzo), angolo cucina e terrazzino; ottima la posizione (a pochi km dal Parco Nazionale Plitvice davvero spettacolare), in mezzo al verde, con amaca, tavolo, barbecue, giochi e altalene per bimbi. Enjoy! 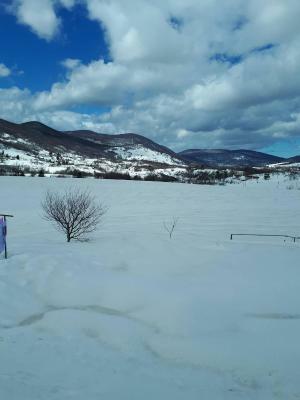 Monolocale molto carino e accogliente, proprietario molto gentile e disponibile (parlava solo croato ma ci siamo capiti senza grossi problemi). A 5 minuti di macchina dai laghi di plitvice. 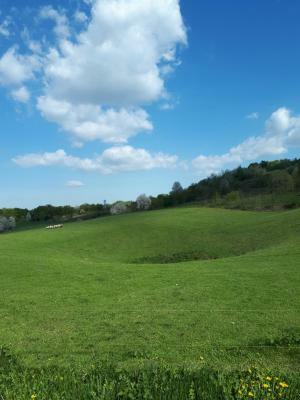 Immerso nella campagna. Molto molto bello. Guesthouse Andja This rating is a reflection of how the property compares to the industry standard when it comes to price, facilities and services available. It's based on a self-evaluation by the property. Use this rating to help choose your stay! 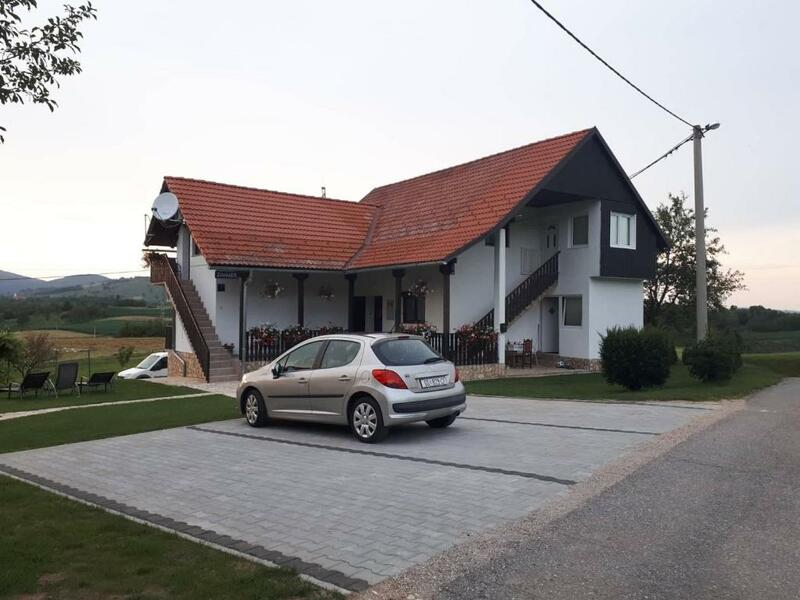 Guest house Anđa is set in the village of Smoljanac, 2.5 mi from the entrance to the UNESCO-protected Plitvice Lakes National Park. It offers free Wi-Fi, free parking and rooms with TV. 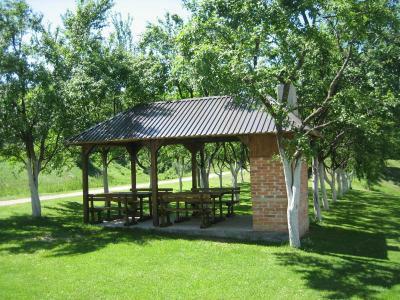 Free-to-use barbecue facilities are also provided. All rooms consist of a balcony or a terrace with a seating area. Each unit has a private bathroom with a shower. In addition to this, triple rooms provide a kitchenette. 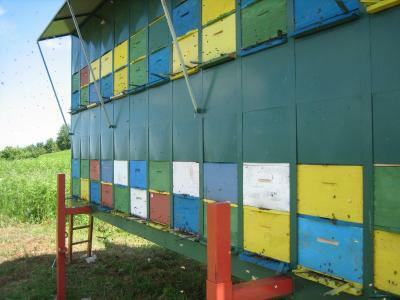 The owners are professional apiarists and offer honey and honey-based products for sale. Korana Canyon is 1,950 feet away. The nearest grocery shop is at a distance of 0.6 mi. A bus stop is 0.9 mi away. A bar and a restaurant are within 1.2 mi. 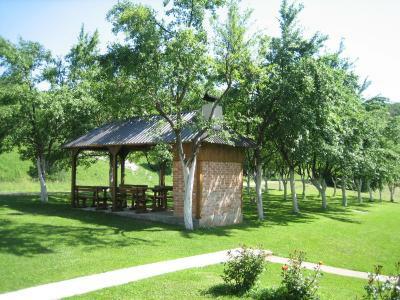 Barać Caves are 5 mi from the Anđa Guest house. 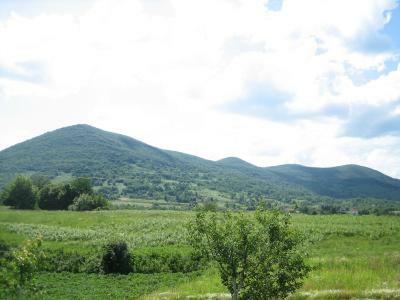 This property also has one of the top-rated locations in Smoljanac! Guests are happier about it compared to other properties in the area. When would you like to stay at Guesthouse Andja? This room features a furnished terrace, a flat-screen satellite TV and a fully equipped kitchenette. This room features a furnished balcony, a flat-screen satellite TV and a fully equipped kitchenette. House Rules Guesthouse Andja takes special requests – add in the next step! The kitchen supply is a little bit poor, the bathroom is too small, also the whole room we had was very small. We could not really use the TV and the Wi-fi signal was poor. The host wasn't there when we needed him, we could not leave when we were ready because nobody was home. Fortunately someone appeared after 20 minutes of knocking on the door and calling the mentioned phone number. Basically the hosts were helpful and kind but not 100% reliable.